If It's Too Loud...: Bunny's A Swine - "Greetings From the Bottom"
Western Massachusetts is overflowing with fantastic new 90s tinged indie rock bands. 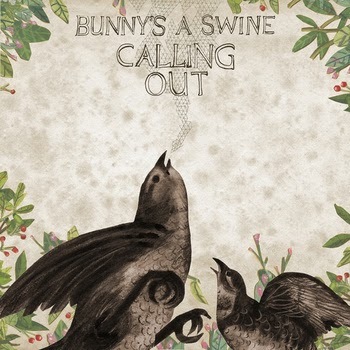 Bunny's A Swine released their fourth album, Calling Out (which you can stream here). They just released a video for the single "Greetings From the Bottom" which is bursting with Northampton, MA area goodness. Filmed partially at Northampton rock club Elevens and mostly in a cornfield, the video also features other Northampton area indie rock luminaries such as Sadie Dupuis of If It's Too Loud... faves Speedy Ortiz. "Greetings From the Bottom" is a cheery blast of 90s influenced indie pop, kind of a noisier Papas Fritas. Check out the video for "Greetings From the Bottom" below, as well as Bunny's A Swine's website for more info.